Deere & Company of Moline, Ill., is recalling about 3,700 John Deere ZTrak riding mowers sold in the U.S and Canada. The mower’s blades can continue to rotate under power when the operator leaves the seat, posing a laceration risk to the user or bystander. This recall involves John Deere model Z335M, Z345M, Z345R, Z355R, and Z375R residential ZTrak riding mowers. The model number and “John Deere” are printed on the front of the green and yellow colored riding lawn mowers. The serial number begins with 1GX and is printed on the rear frame of the machine near the engine. The mowers, manufactured in the U.S., were sold at John Deere dealers and on HomeDepot.com from August 2017, through December 2017, for between $2,600 and $3,500. Consumers should stop using the recalled riding mowers and contact an authorized John Deere dealer for a free repair. 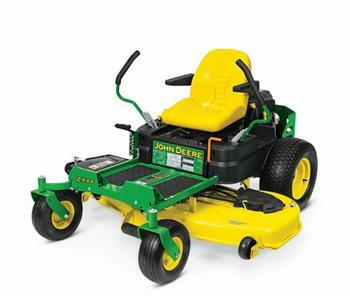 John Deere is contacting purchasers of the recalled lawn mowers directly. Consumers may contact Deere & Company at 800-537-8233 from 8 a.m. to 6 p.m. (ET) Monday through Friday and Saturday from 9 a.m. to 3 p.m. (ET) or online at www.deere.com and click on Product Recall Information on the drop-menu under Parts & Service for more information.